Design can be art. Design can be aesthetics. Design is so simple that's why it is so complicated. I am an interaction designer at work and an artist at home. I use my artistic eye to design beautifully, and I use my engineering mind to design right. Done for Drive Business Intelligence Co.
Drive was an internship project done for a startup company: DRIVE Business Intelligence Co. The purpose of this project was to improve the company's ways of communicating their business ideas with their prospective audiences, using visuals and short hand-drawn animations. These short animations were all carefully based on the scripts provided by the company. I was in-charge of creating storyboards around the provided scripts. 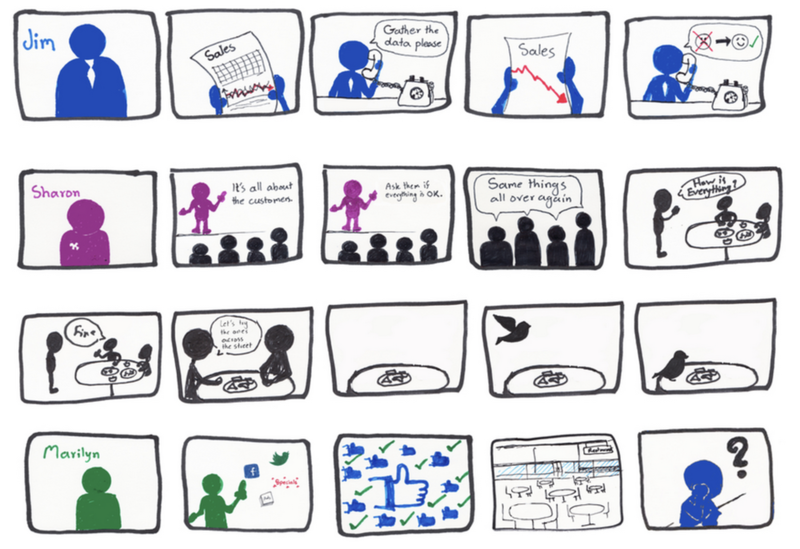 Some of those story-boards were animated to communicate the ideas in a more interesting way, as the company presented their solutions to their audience. Interested in learning more about my work or how we can collaborate on an upcoming project? Reach out today.